SpiceJet, India’s low cost airline, has announced the launch of direct flights to Dubai from the cities of Amritsar and Kozhikode (Calicut). 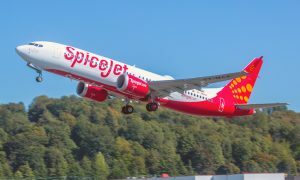 With the launch of these flights, SpiceJet will be serving Dubai direct from eight Indian cities: Delhi, Mumbai, Ahmedabad, Pune, Kochi, Madurai, Amritsar, and Kozhikode, with connections from dozens of more cities including Kolkata, Chennai, Hyderabad, and Bengaluru. 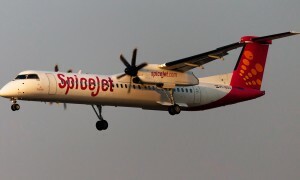 While SpiceJet will operate daily flights on the Kozhikode – Dubai route, flights on the Amritsar – Dubai route will operate on all days except Saturdays. SpiceJet will be deploying its Boeing 737NG aircraft on the newly launched routes. Dubai is one of the airline’s six international destinations – Dubai, Bangkok, Colombo, Kabul, Male (Maldives), and Muscat. Services to Kathmandu, which had been temporarily suspended, will resume in the future, and additional international destinations will be announced in the coming weeks.